A breakthrough operation has regenerated the lenses of 12 children using stem cells. 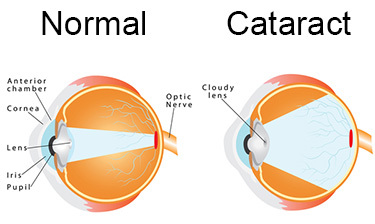 Cataracts are a clouding of the lens that typically occurs in the elderly. It is the leading cause of blindness (left untreated). Standard treatment of cataracts is inserting an artificial intraocular lens. However, this requires waiting until the cataracts “ripen”, or cataract surgery is often recommended by the eye doctor when he/she cannot refract the patients vision 20/40 or better due to the cataract. The new eye surgery leaves the lens capsule intact. First, ultrasound breaks up the damaged lens. The pieces are flushed out. Then, the surgeon inserts stem cells from the lens capsule into the area where the lens should be. A new lens grows gradually in place over eight months. The researchers chose children because intraocular lens replacement surgery is riskier for them. Also, their epithelial stem cells are younger and better at regenerating. Large trials are needed in elderly patients before this procedure could replace cataracts surgery. Editor’s Note: While waiting for an ideal cure or ideal time for lens replacement surgery, some cataracts patients elect to use such natural approaches as special homeopathic eye drops to manage their cataracts and support lens health. Learn more on our lens support page.